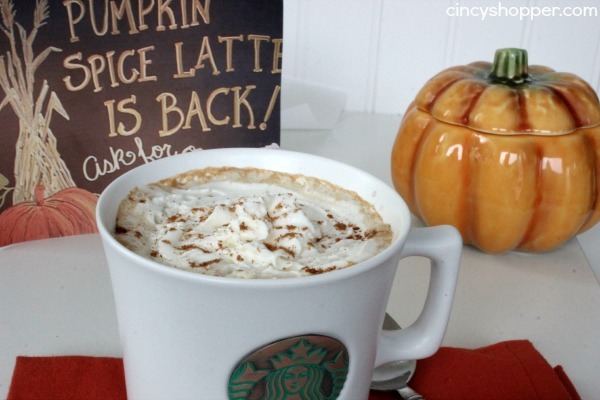 It’s almost fall and this CopyCat Starbucks Pumpkin Spice Latte Recipe is going to save you $$’s this fall. I am totally getting in fall mode this week. I am enjoying all the flavors of fall. After sharing the CopyCat Pumpkin Scones Recipe yesterday that the hubby made me, I needed my Starbucks Pumpkin Spice Latte Fix! Knowing I was not going to be able to purchase a Starbucks Pumpkin Latte until next week, my only option was to have the hubby create me a CopyCat version at home. It was a perfect evening… like a dream, ha ha. I enjoyed a CopyCat Pumpkin Scone with my yummy Pumpkin Spice Latte. I know it sounds like pumpkin overload but, I wouldn’t have it any other way! 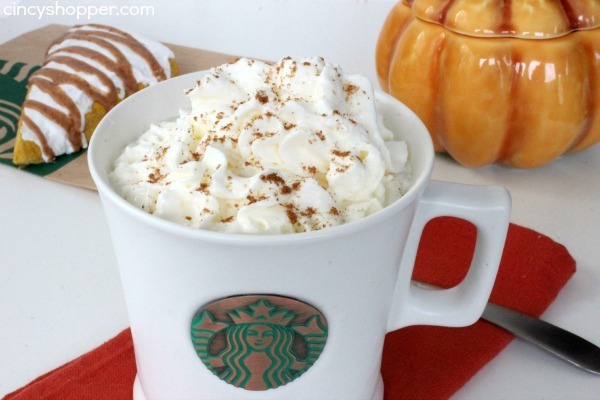 I can not tell you enough how yummy this Copycat Starbucks Pumpkin Spice Latte Recipe is. 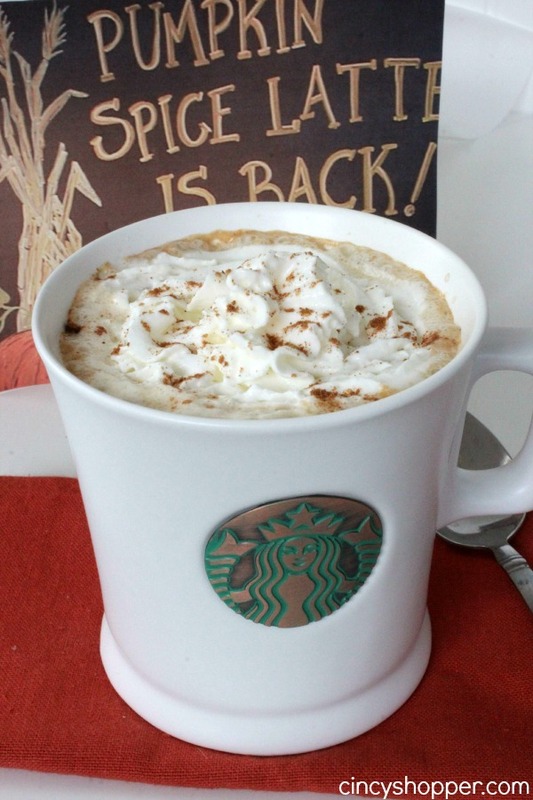 Pumpkin Spice in coffee form…oh yea! Plus I now will not have to rush to Starbucks to order a Pumpkin Latte. Yup… I will be saving some serious $$’s. 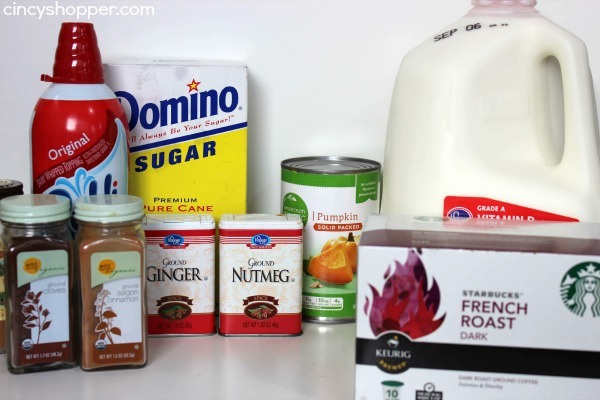 Making your own homemade Starbucks Pumpkin Spice Latte at home is so simple. You most likely already have most of the ingredients in your cabinet. Just be sure to stock up on Pumpkin during the holiday season when we have sales and coupons and you will save bundles. Making CopyCat Recipes at home is a great way to enjoy your favorite restaurant food and drink at home. Enjoy them whenever you have the urge and save yourself some $$’s. I have MANY CopyCat Recipes you can check out here. Is the pumpkin spice syrup the one sold on the Starbucks website? I was looking for a copycat recipe that maybe didn’t use there syrup since I read a few things on the ingredients of their actual drink and I was kind of disgusted. In her recipe, she shows you how to make your own pumpkin syrup. I’m going to try this and avoid all the crap (plus get REAL pumpkin) in a PSL! Thanks! Thanks for the recipe! So excited to try!!! How long will the pumpkin syrup last in the fridge? I just love this Latte! Thank you so much for sharing this awesome post with Full Plate Thursday and hope you are having a fantastic weekend! 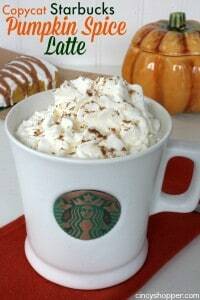 Delicious pumpkin latte, this is my do list,thanks for sharing with Hearth and Soul blog hop. pinning. I made a half recipe of the syrup to make sure we like it. It is very thick and I am currently waiting for it to strain. It may be that the simmer time should have been reduced because the ingredients were reduced. The flavor is good but it became too thick. Yum! 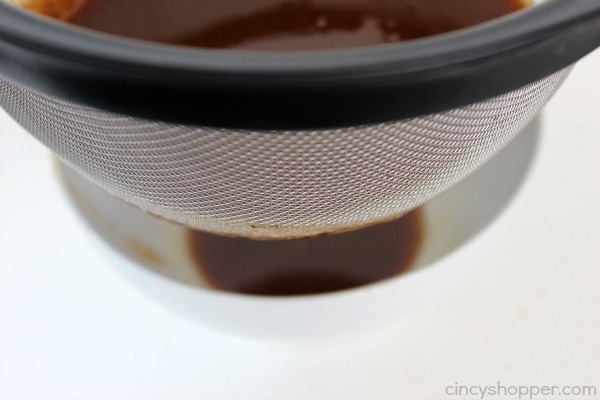 I found this amazing ( and soon to be popular in my home ) recipe over @ http://affimity.com/#/sharedPost/6/8362. I am very excited! I spend way too much money every fall through winter at Starbucks buying my favorite seasonal treat – the pumpkin spice latte. My wallet and my stomach both thank you very much!